SOLD OUT KITS: The kits are now sold out in the shop. I've been asked if I can make anymore. I'm sorry to say that I don't have enough of the supplies on hand to do so. 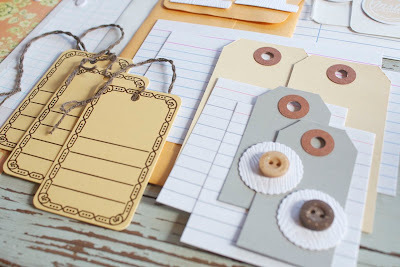 Most of the tags that I used are available in my shop + look for a few extras of the stamps to go up in the shop later today. 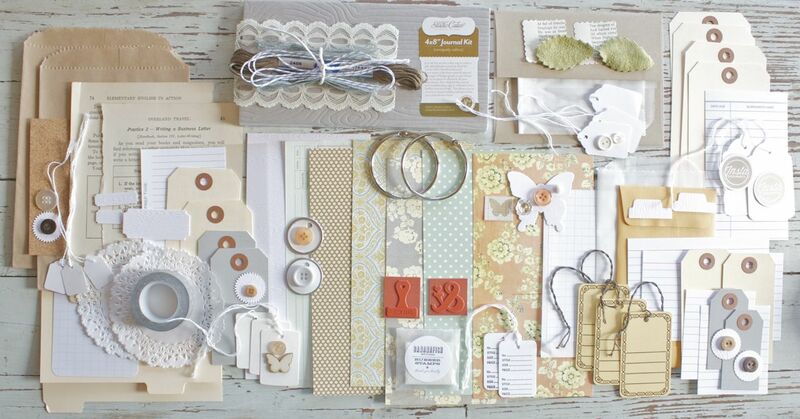 Perhaps you could piece together a kit of your own making. Thanks so much to everyone who ordered a kit, enjoy! I have something to share that's just been waiting for Summer to arrive. Each Summer when the girls are out of school I dream of a lazy days with lots of relaxing and doing lots of whatever I want. In reality my summers are not like that at all. They're full of work, ballgames, practices and lots of crazy girls running around our home. 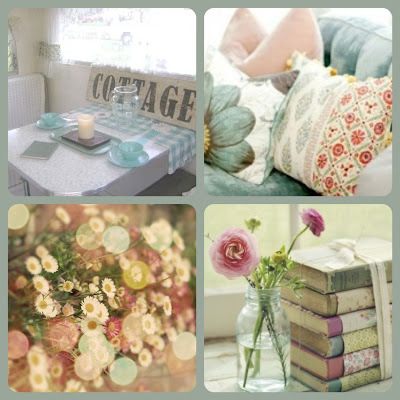 While I love all that, a girl can dream of that beautiful Summer cottage, tucked away in a far away spot. And so came about the idea for my Summer Cottage Mini Journal Kits. I'd be surrounded by beautiful things I love. Perhaps I'd ride my old bike into a quaint little town. Or maybe fire up my favorite old truck for a day of junkin'. What would be your idea of a favorite Summer cottage? Whatever it may be it's fun to dream, right? Or maybe you do have a Summer cottage that you call your own. 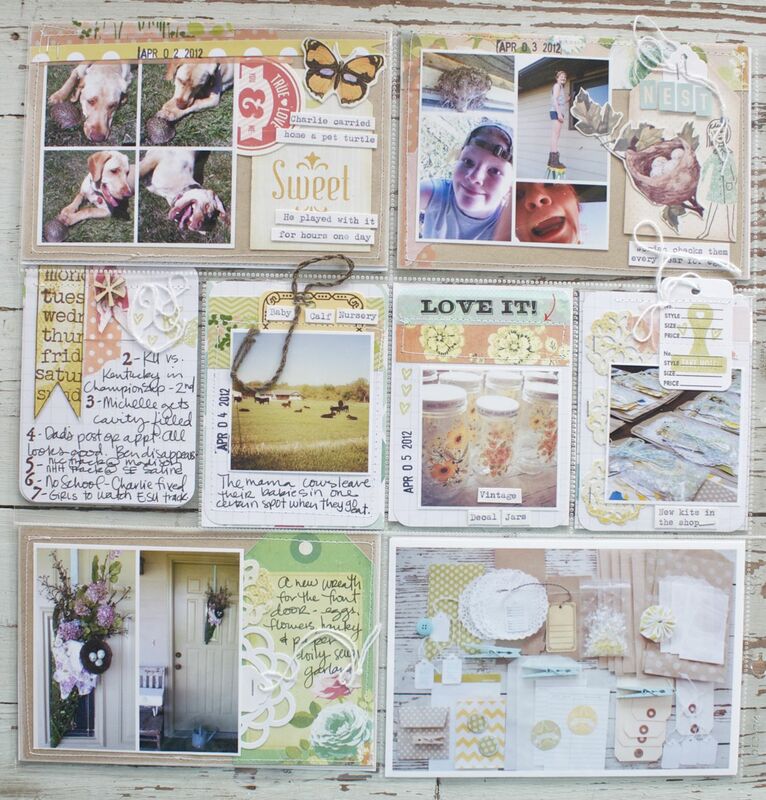 My Summer Cottage Mini Journal Kits are designed to hold all those picture perfect photos and mementos in one little spot. 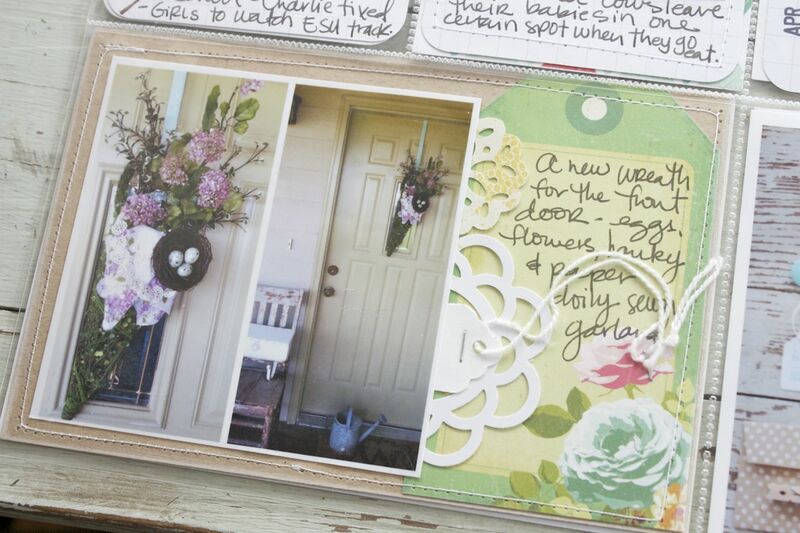 Use the journal to jot down your thoughts, add those little Instagrams.....photos from your garden or favorite spot on the porch....whatever your heart desires. 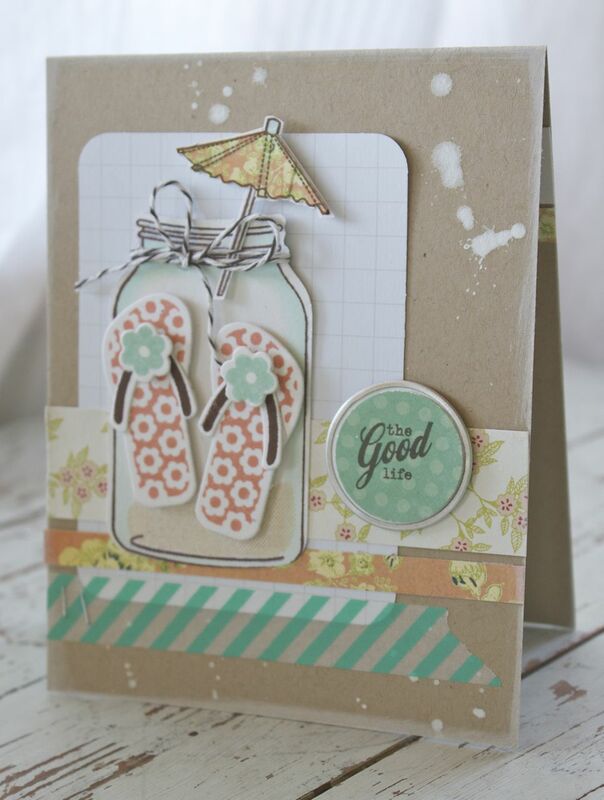 I've selected my favorite Summer colors for this kit and there are oodles of papers and embellishments tucked inside. 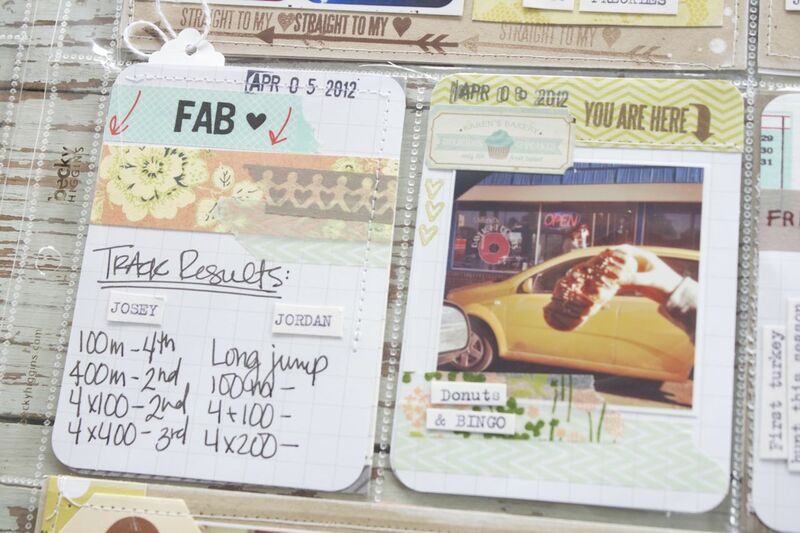 Lots of tags, punched woodgrain pieces and a full roll of Washi tape from Freckled Fawn. My favorite colors of mossy green, light aqua, sherbet orange and grey all come together. You'll have lots of fun using the 2 stamps from Banana Fish Studio. I'll show you how to use them in an informational post coming soon. Use all the tags, lined cards, Grid Labels and more for journaling or to create your own accents. The Grid Labels are fun to run through a vintage typewriter...or stamp on them. 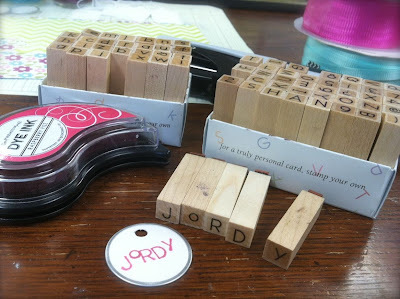 I've included a few stamped pieces too along with a Library Card, index tab punches, buttons and more. 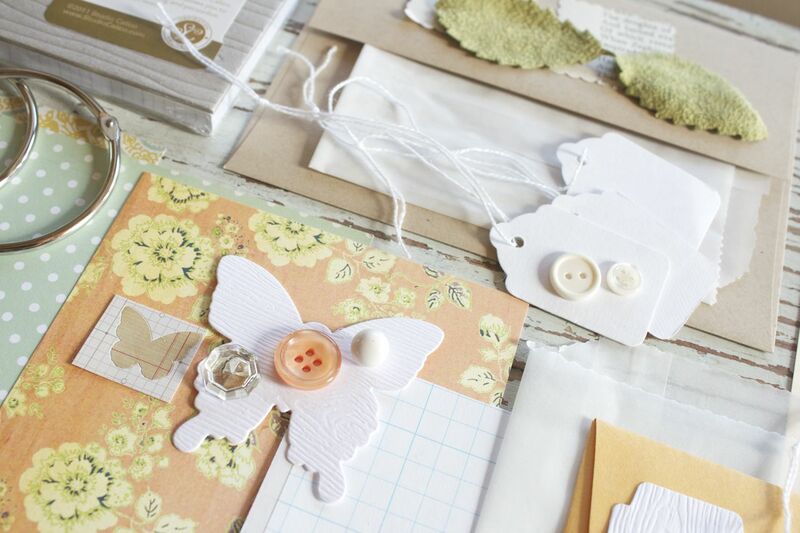 I pulled out my stash of vintage sequins and buttons and plan on showing you soon how to make a beautiful layered butterfly to adorn the cover of your journal, perhaps. You must zoom in on the woodgrain pattern, it's so detailed. 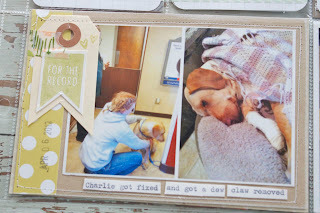 You'll receive a 4 x 8 woodgrain, chipboard journal. It's full of copy weight grid paper inside, perfect for creating a journal or diary of sorts. I've also included a bundle of vintage lace, a full skein of embroidery floss, and baker's twine to add a homespun feel to your pages. There are 2 giant 2" binder rings so that your journal can grow and grow this Summer. None of the pieces are punched but if you have a Crop-a-dile or regular hole punch, that will do the trick. The kits are in the shop now and are in very limited quantities. They're going quickly already. I'll be back for lots of fun posts using this kit so stay tuned. I'm planning on using my personal kit for Maggie Holme's Pieces of Me class which is being offered at 2Peas. Kits will start shipping on Thursday in case you need one quickly. :) I'll be gathering up a few more items from my own stash to add to my kit and will be sharing those photos soon too. Lots of fun to come! Thanks so much for stopping by and Happy Summer to you. Note: Shipping boxes Internationally always involves a certain amount of guess work. If you order and your shipping is way high, I will be happy to refund a portion of the cost back to your PayPal account. Good morning all. 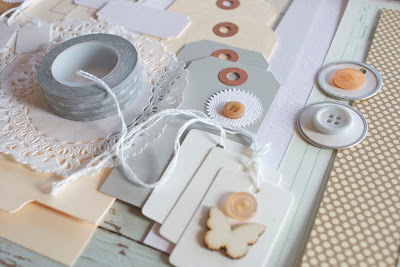 Today there is a lot of love being shared for an amazing friend in our craft industry. Jennifer McGuire with Hero Arts recently brought sweet Lila Grace into the world. She is just adorable and I'm so happy to see Jenn and her sweet family add another wonderful person to the world. Many of Jenn's friends are sharing some card love over at Jana Millen's bog today. 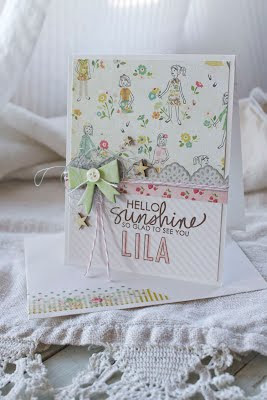 Check out this link for links to more sweet cards for Lila. If you'd like to join in on on congratulating Jenn, feel free to create your own card and add it to the link list. Jana will be collecting cards at her home address if you'd like to send your card to Jenn. Here's my card for Jenn. 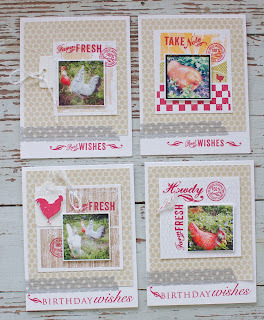 I knew right away I wanted to use some favorite new papers from Crate Paper's Pretty Party 6 x 6 Paper Pad. The little girl images are so sweet, I just want to use them every chance I get. 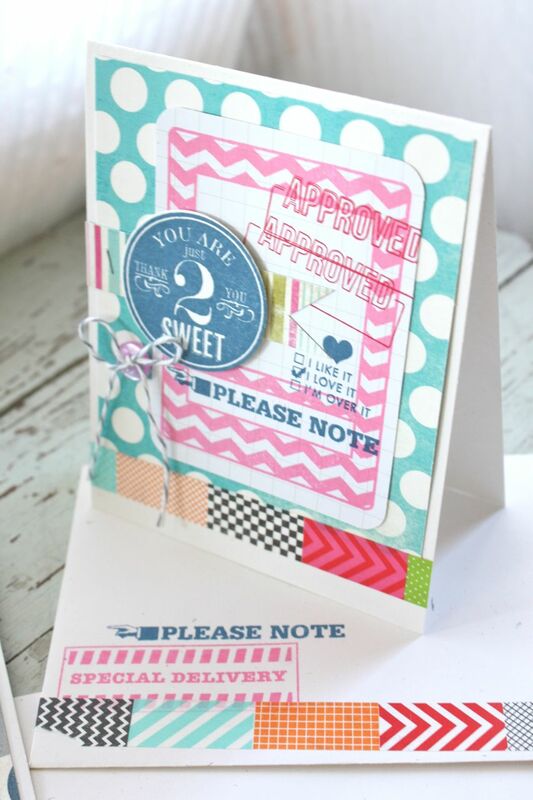 For the inside of the card I added strip of the pink striped paper + 3 kinds of Washi tape. I added another Ali Edward sentiment in brown ink. The envelope has more of the Washi tape too. Thanks for stopping by today, hope you enjoy! Today I have a few bookmarks to show you that I created for Jordan and her friends. My girls aren't heavy readers so I try to coax them along with fun things like gift cards and bookmarks any time I can. 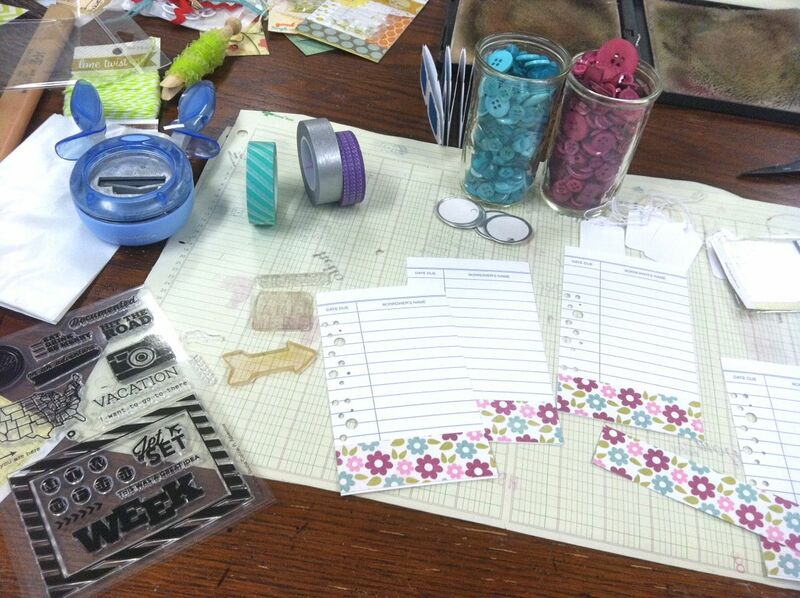 To create my bookmarks I used pieces from the Lemon, Lime & Aqua Embellishing Kit. 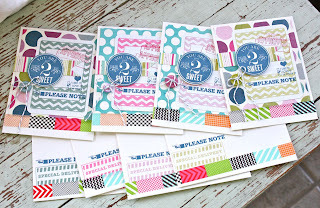 It's packed full of paper goodies with hints of lime green, aqua, and yellow. From the kit I'm using library cards, metal rim tags, the small Ziploc bags with my homemade snow confetti, doilies and the carnival tickets. 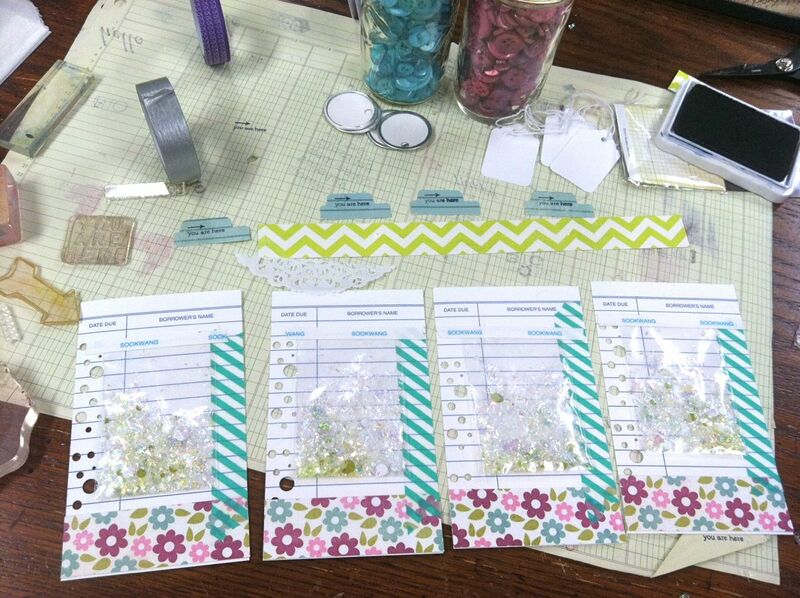 I started by punching holes in the bookmarks using my confetti punch. I adhered a strip of My Mind's Eye patterned paper to the bottom. I then added a strip of striped Washi tape along the side. I filled the tiny Ziploc bags with snow confetti and snipped the tops off. I used double sided tape to adhere the sacks to the bookmarks. I finished up the bookmarks with little layers of stamped carnival tickets, stamped Jenni Bowlin tab punches, more chevron My Mind's Eye paper, pieces of the paper doilies and a little more Metallic Silver Washi Tape. 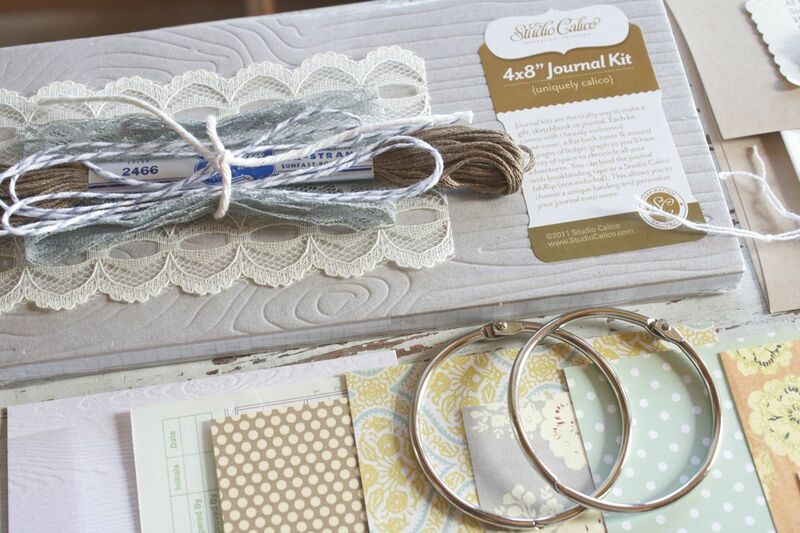 I love using the silver Washi along with the Metallic Gold & White Airmail Washi paired with any other colors. The slight metallic finish is very pretty. I've been using them with all my other Washi colors lately. 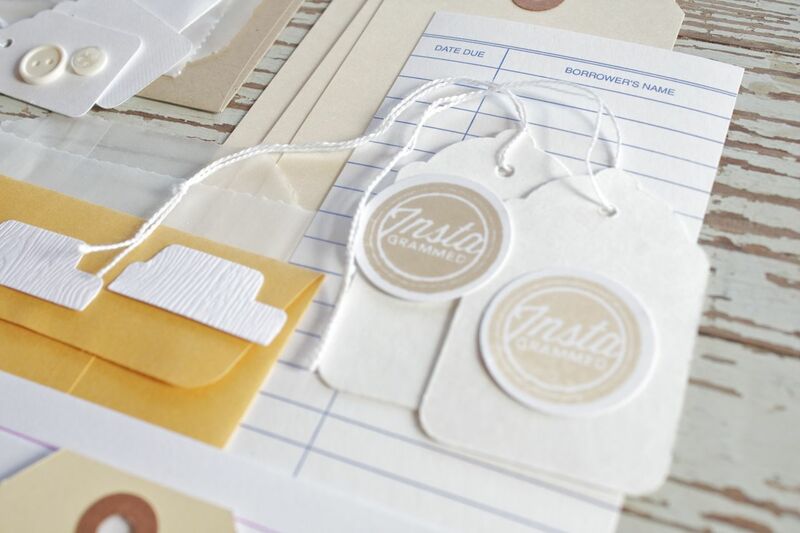 As a finishing touch I punched a circle of MME paper and added an initial sticker letter for each recipient. I stapled these to the bookmarks. The stamps I used are the retired Epic stamp set and the Adventure stamp (sold out right now, I believe) set from Studio Calico. I'm thinking on our next road trip with all of Jordan's friends I'll hand out the book marks and perhaps we can make a stop at the bookstore. Hope you enjoy. I'm getting caught up slowly which is huge for me! It was this time last year that I started getting behind. 17 weeks behind. I'm about 2 weeks behind right now so I'm very happy to get caught up. I'll be posting updates this week. 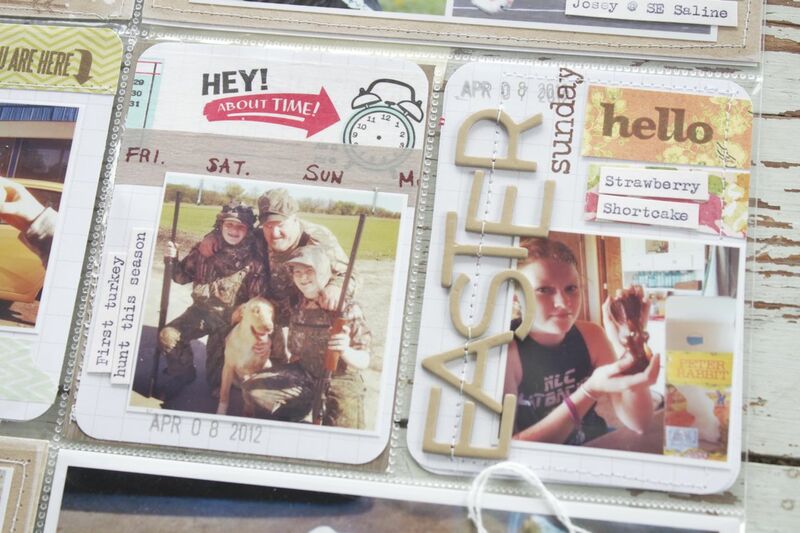 I have lots of insert pages that I'd like to add to my Project Life albums. 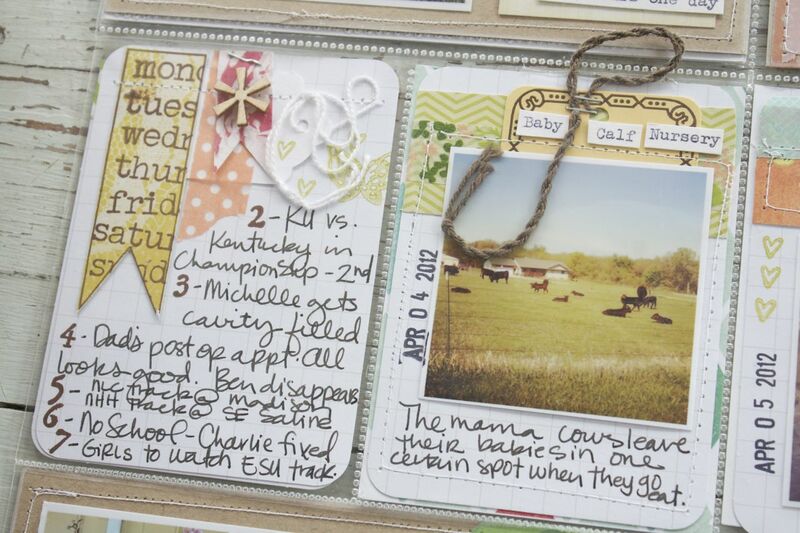 Creating some traditional scrapbooked pages is high on my list for this summer. Keeping my fingers crossed. 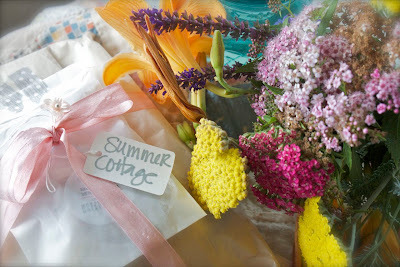 We have a very busy June coming up but I'm hoping to get a lot more projects up here on the blog. 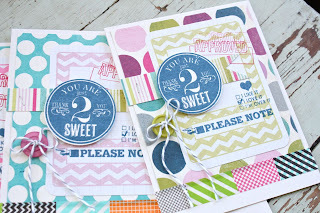 I have some very neglected stamp sets sitting here that I'd love to make some cards with. 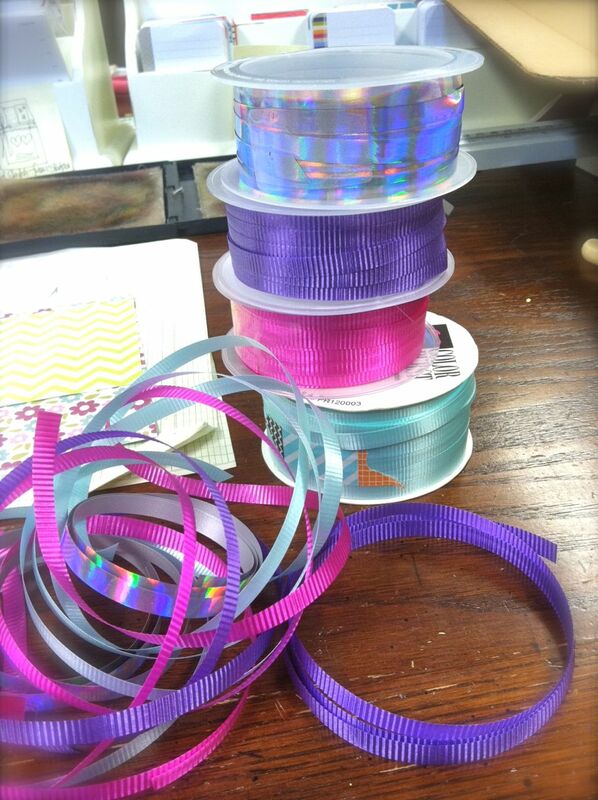 Coming soon I'll have some brand new styles of Washi tape. I'm hoping to add a new line of product by mid-Summer also. And coming very soon I'll have a new mini album kit coming up. 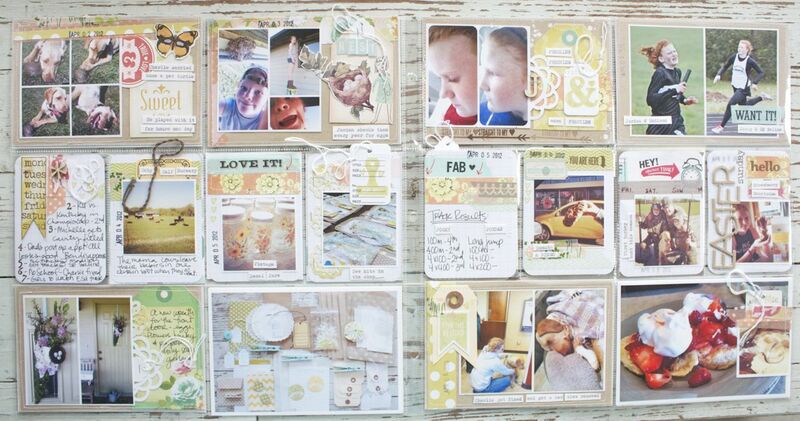 It's my favorite so far and will feature some of my favorite papers from Studio Calico. I'm just waiting on a few more items to arrive before it goes up in the shop. 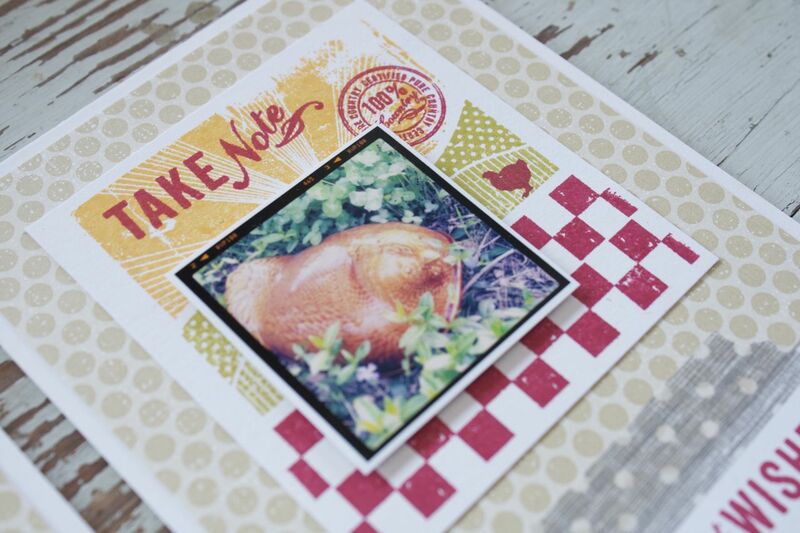 Also if you haven't seen the White Woodgrain Cardstock that's new in the shop, be sure to zoom in on the photos. The impression quality of the woodgrain is so detailed and beautiful. I have a tutorial coming up soon using it soon. Washi tape meets curly ribbon.. Happy Weekend! 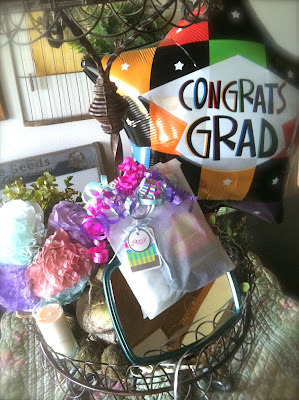 Today I have a little tutorial on how I gift wrapped some items for Jordan's graduation present. 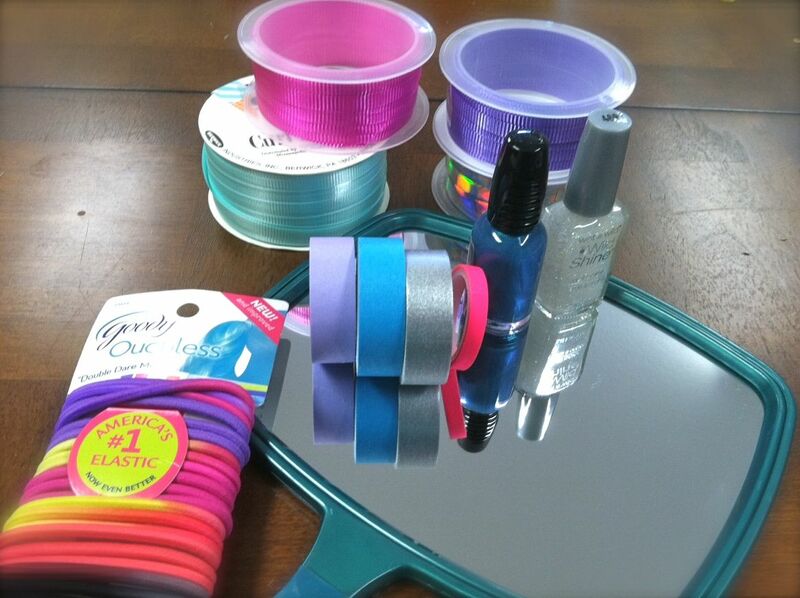 I had a mirror (which is hard to work with), some fingernail polishes and hair bands. 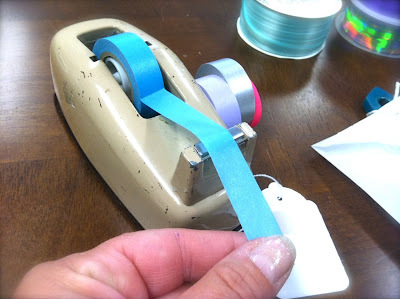 I knew I wanted to use Washi tape on a tag and fun curly ribbon to add a festive touch. Seems every gift around here lately gets a big curly ribbon bunch stuck on top. For the Washi tape, I wanted to use it on the tag. Tip: A lot of crafters love the idea of Washi but don't like the torn edge look. I found that by using an old tape dispenser you can get a nice clean tear with just a big of that jagged edge. It's like "controlled tearing". 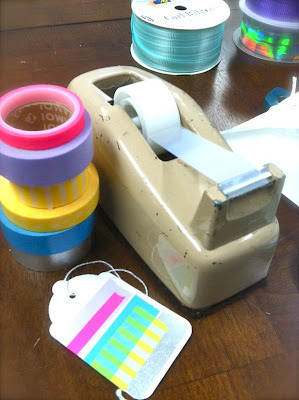 I placed each of my Washi tapes in my taper dispenser and tore off the pieces I wanted to use. These were all layered onto a Large White Tag. 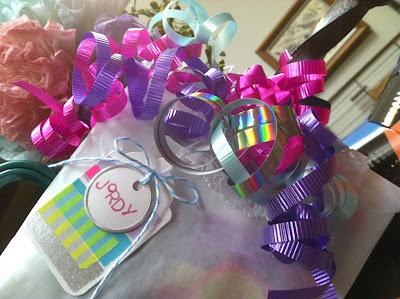 I set that aside and then made my curly ribbon bunch. Just cut about 18" of curly ribbon and curl with scissors. 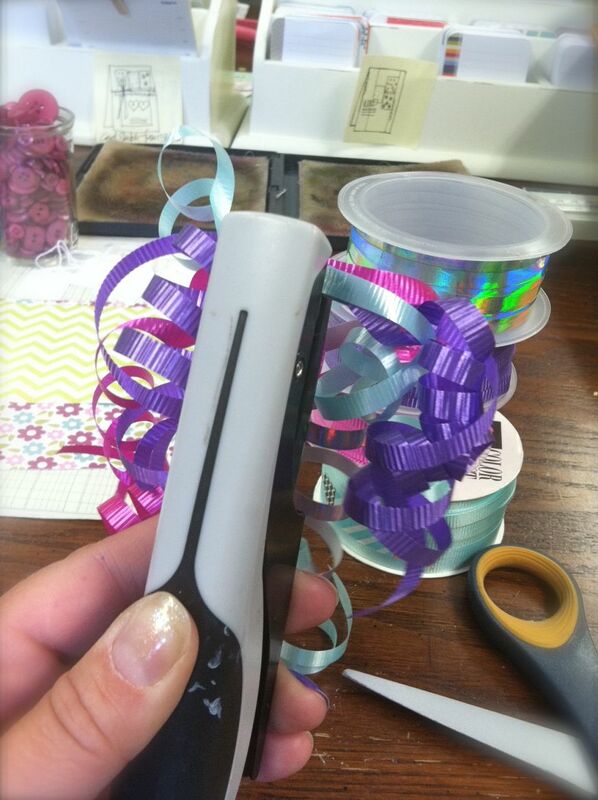 I use my Tiny Attacher to secure the ribbons together. Next up I wanted to personalize the tag with Jordan's name. 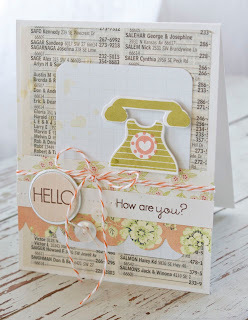 I used Hero Arts letter stamps on a Metal Rim Tag. These are some of my favorite tags from the shop & I always keep them handy. For the hair bands and nail polishes I tucked them inside a large glassine sack, fold over the edge, added a folded Dainty Doily and then taped on the curly ribbon piece. The layered Washi tag was topped with the metal tag and taped to the front of the sack. I know lots of you are new to the wonderful world of Washi tape. 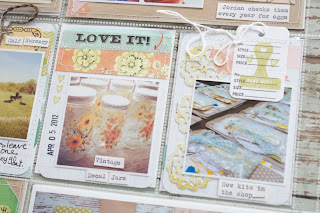 I've started stocking it in the shop so I'll be showing you lots of ways to use it here on the blog from time to time. 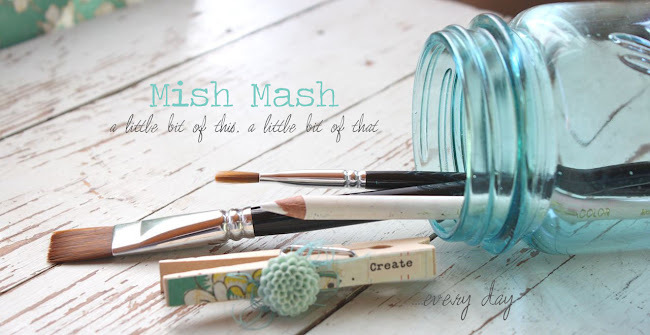 If you have any questions about Washi just leave a comment and I'll edit my post with feedback. Last day of school for my reds and we're goin' out with a bang! Jordy meets up after school with The Wolf Pack, as they're called, to get their hair done and then ride in a Hummer limo to graduation with 18 boys an girls. Below is a photo we took at Awards Night with the 4 friends and their siblings. All of the kids, except for little sister Ally, will be in high school together next year. Good times and more grey hairs for sure! Here's The Wolf Pack caught in a fun photo. So awesome to have four girls be best friends. 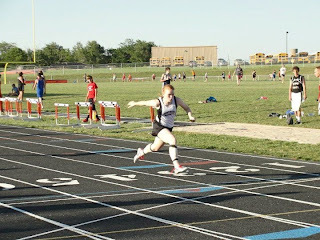 Josey is back on the track after sitting out and doing physical therapy for 2 weeks for bad shin splints. She's got Regionals today and is hoping to make it to State. She's participating in the open 400 meter, the 4 x 100 meter relay and the 4 x 400 meter relay. Any little prayers and good thoughts are appreciated for my speedy girl. 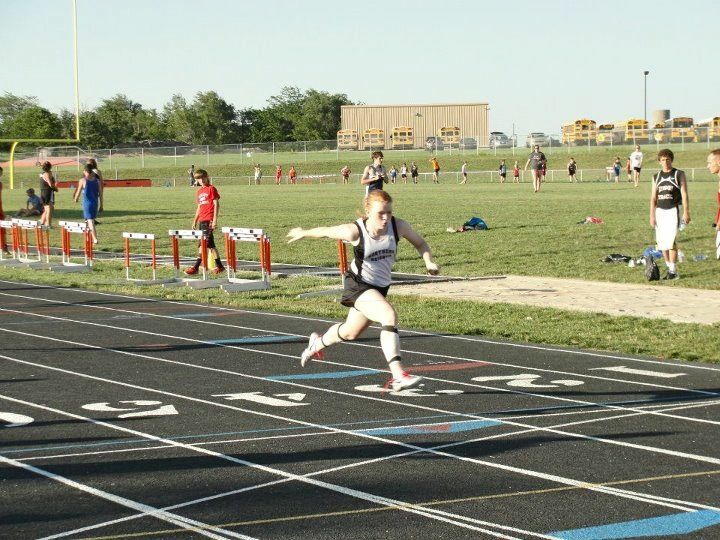 I hope today goes just like the photo below....crossing that finish line first with no one in sight!! Go Josey!! I'm so proud of her. Wish I could be there but I'll be spending the afternoon getting Jordan ready for her celebration. 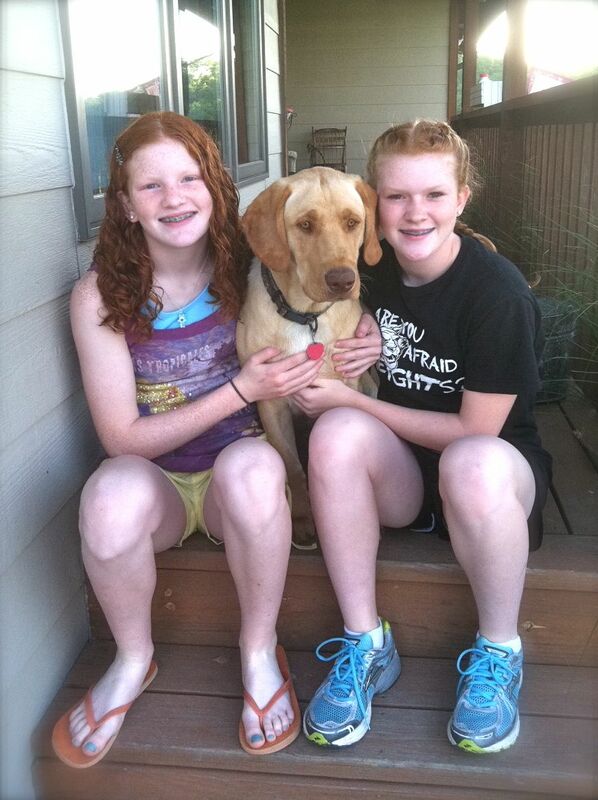 And my favorite girls on the last day of school. Always have to snap a shot and this year Charlie wiggled his way right into the photo. So proud of both of my girls. 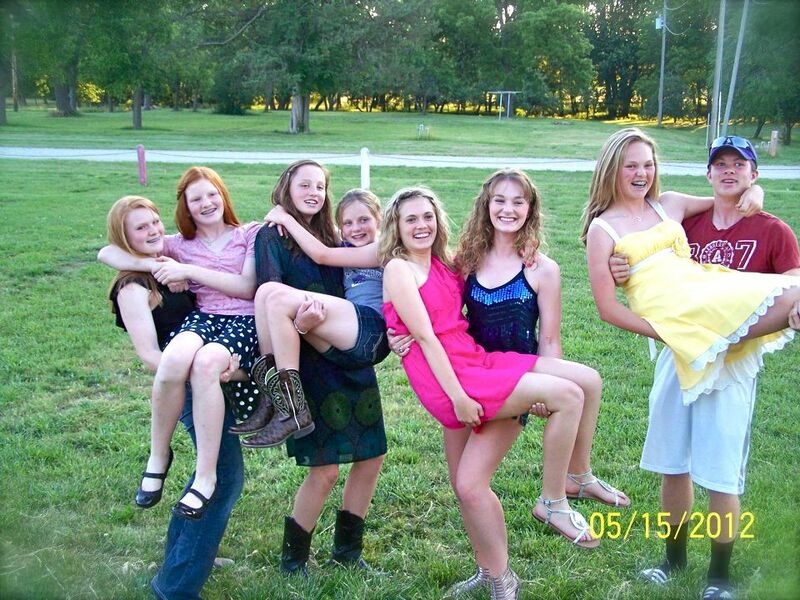 So my little Jordy is graduating from 8th grade. I'll have 2 high schoolers next year! Let the good times roll. We had a celebration last weekend that combined Mother's Day, my birthday and Jordan's graduation. She got lots of cash for gifts so some thank you cards are definitely in order. I was proud of her when I saw her make a list of thank you notes she needed to send. Definitely something you should make your kids do. 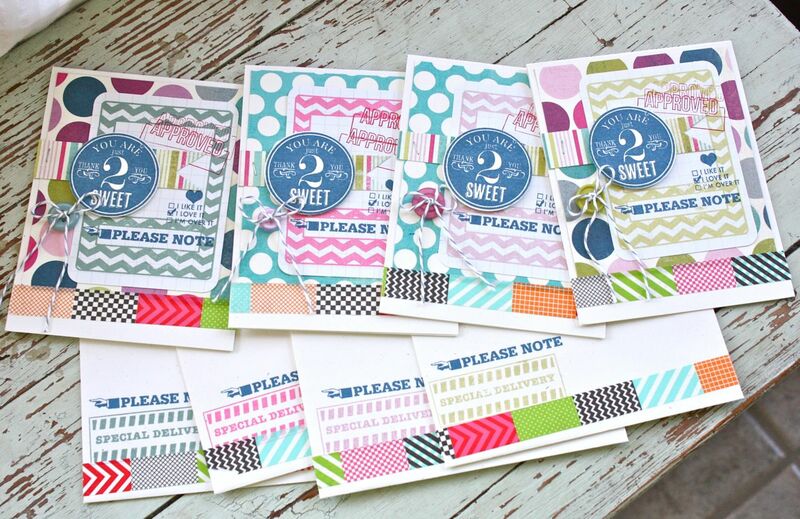 So here's my set of 4 thank you cards, very colorful and suitable for a teenager. 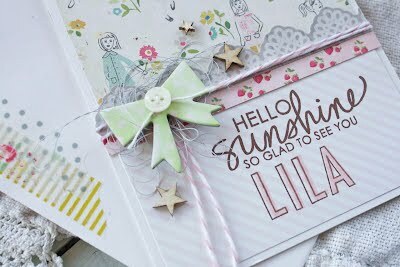 I used papers from My Mind's Eye, the Good Stuff and Please Note stamps from Studio Calico and the Tagged Sentiments set from Papertrey Ink. 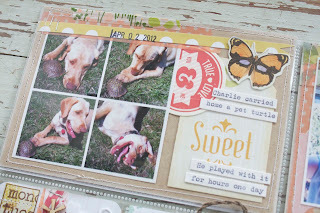 To stamp the chevron frame from Studio Calico's exclusive set at 2Peas, I used a Project Life journaling card as the base. 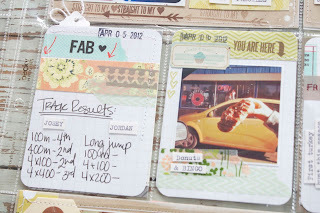 I layered on the approved stamp, the I love it check list, and please note. 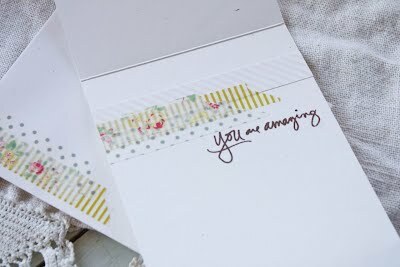 I love these combined sentiments for thank you cards. 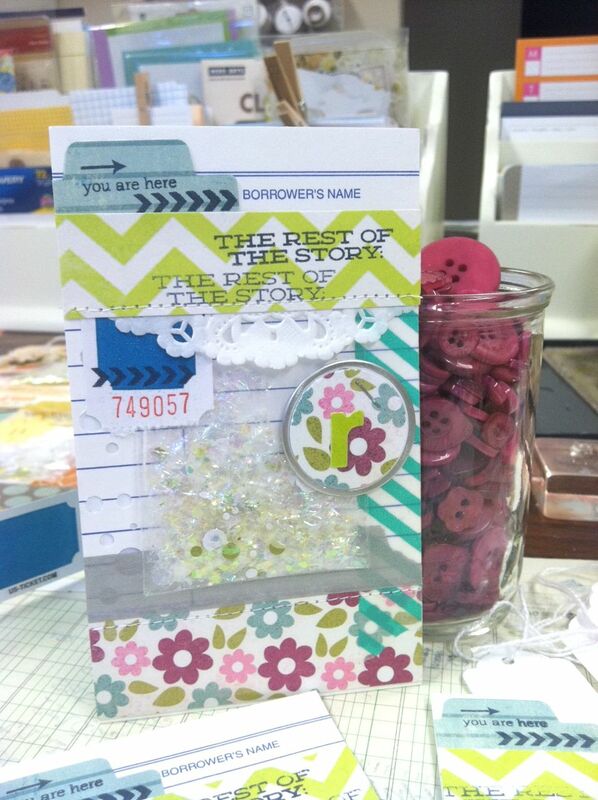 For the circle accent I stamped the image and punched it out with a 1-3/4" circle punch. 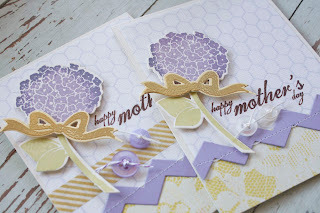 Ink colors I used for my cards are Papertrey's Spring Moss, Lavender Moon, Hibiscus Burst and Ocean Tides. I also used some Divine Twine and Papertrey Vintage Buttons to finish off the card fronts. 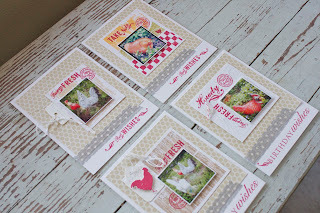 Card bases are Rustic White. 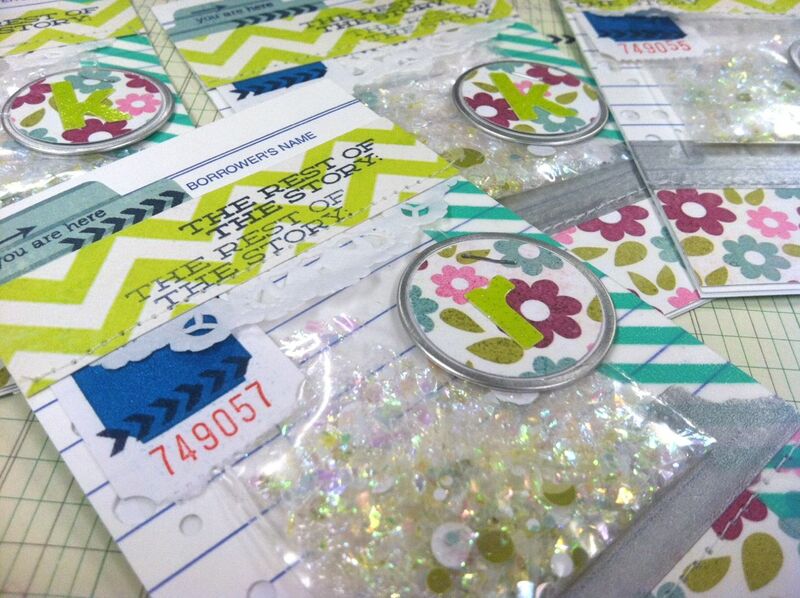 For the bottoms of the card and the envelopes, I used a fun Washi tape from the Smash collection. Very colorful and always fun to see a little something special on the envelopes. 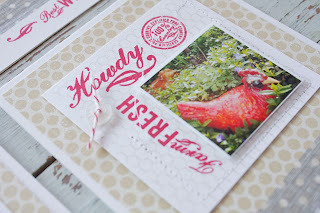 I also stamped more Studio Calico images on the envelope in the colors that coordinate with the stamped frame on the card fronts. On the inside of the cards I used more Studio Calico sentiments and a thank you sentiment from Papertrey's Think Big Favorites #15. Okay, one more project crossed off the list. I showed Jordy my cards and she approved! 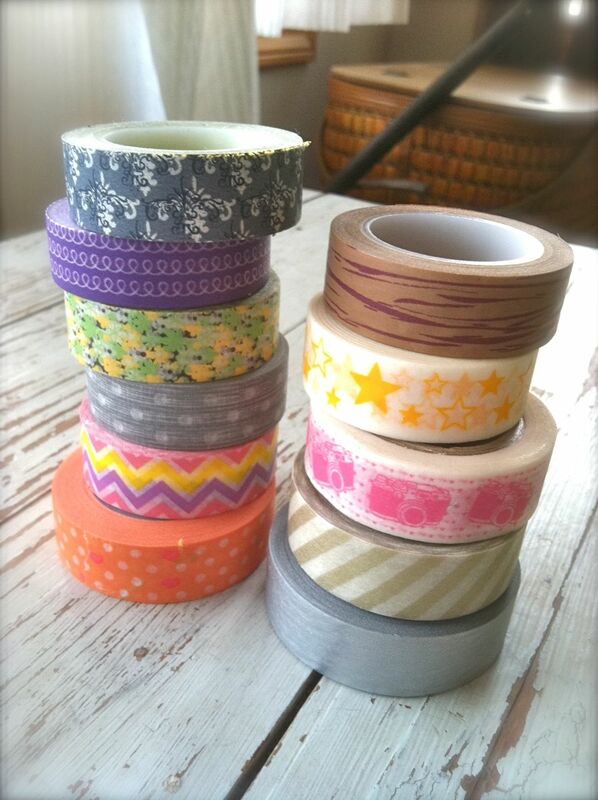 New Washi tape will be in the shop very soon. I should be receiving my shipment within a few days. Look for updates here on the blog and on Twitter. I'll also be adding some brand new items to the shop too. Many of you have been purchasing lots of tags. Thank you so much! 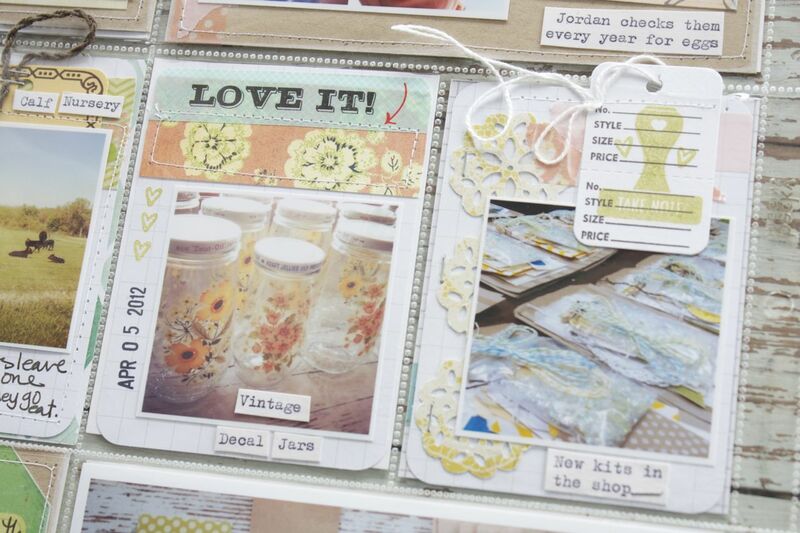 I have lots of varieties and they're so fun to add to Project Life pages, scrapbook pages, cards and packaging. You can check them all out at the shop. A Summer List. Not just a check list of boring projects. I'm compiling a check list of fun things I want to accomplish while the girls are home for the Summer. We have an extremely busy schedule but it's broken up with lots of time at home during the day. 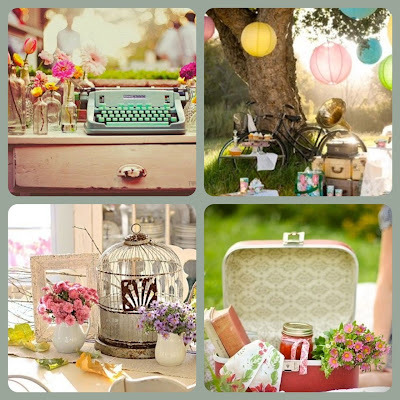 I'll be sharing that list here on the blog soon.....maybe to inspire you to create your own Summer List. Bringing home a new vintage industrial find. 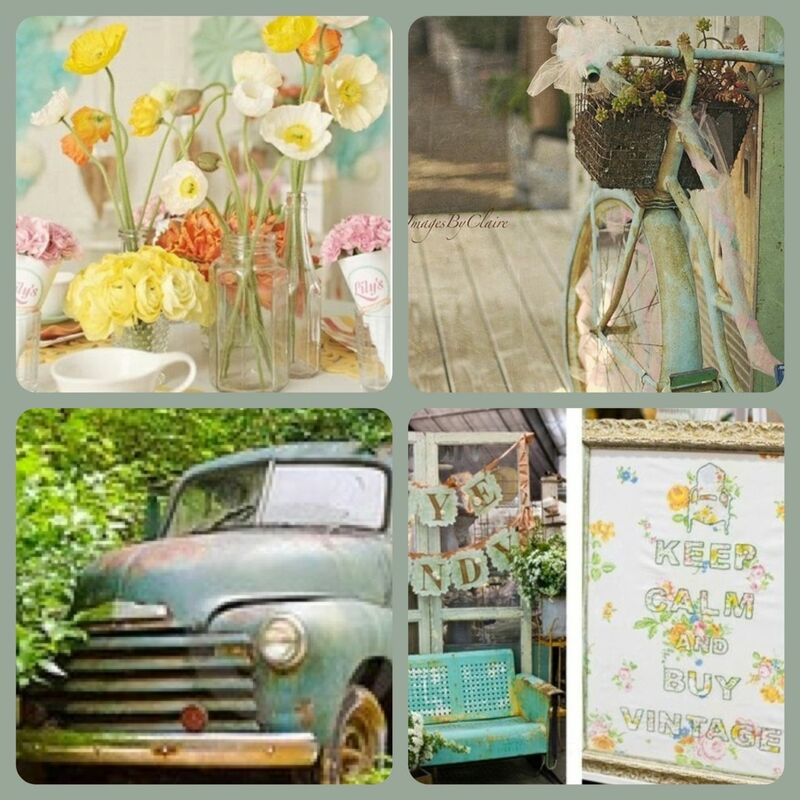 Have you seen my new Pinterest board called Vintage Industrial? Lots of swoon worthy stuff over there. 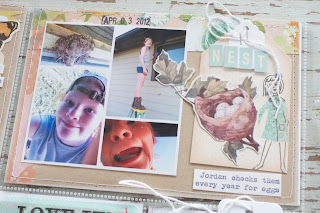 I'll be sharing photos from a little junkin' trip I took a few weeks ago. I think you'll fall in love with the building just like I did. It's time for show and tell at Papertrey Ink. All of the Design Team are showing the remainder of their projects that haven't been seen yet on the blogs this month for the May release. Such a fun line up of products this month. First up is the adorable phone from Melissa's Heart-2-Heart #4. I love this old timey phone and it's got a coordinating die which makes it more fun. 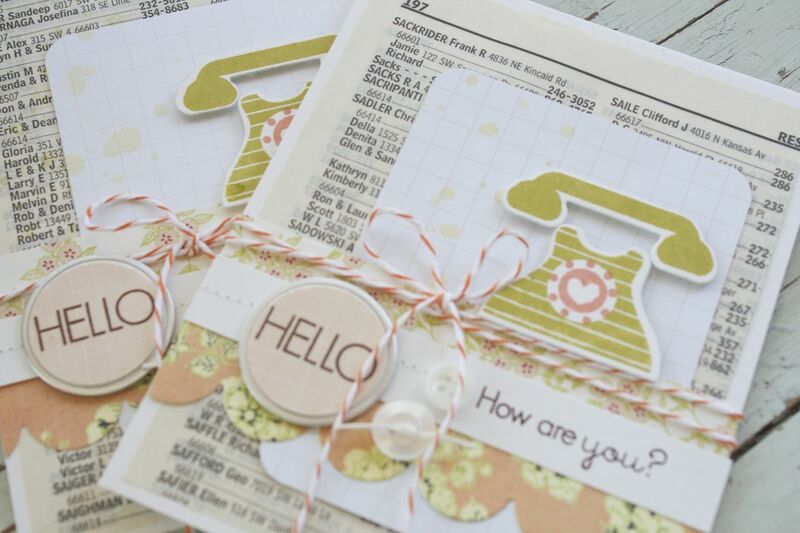 I was searching for a fun background paper when the idea came to me to use a page from a phone book. Hello? How fun is that? I also used a splattered Project Life journaling card, orange baker's twine, a PTI scalloped die, Vintage Buttons + twine and a metal tag from my shop. Here we go with Flipping Out by Melissa also. 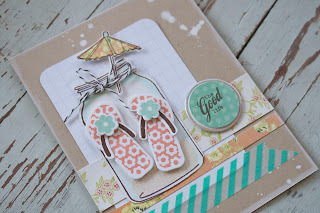 If you love Summer & flip flops then set is for you. 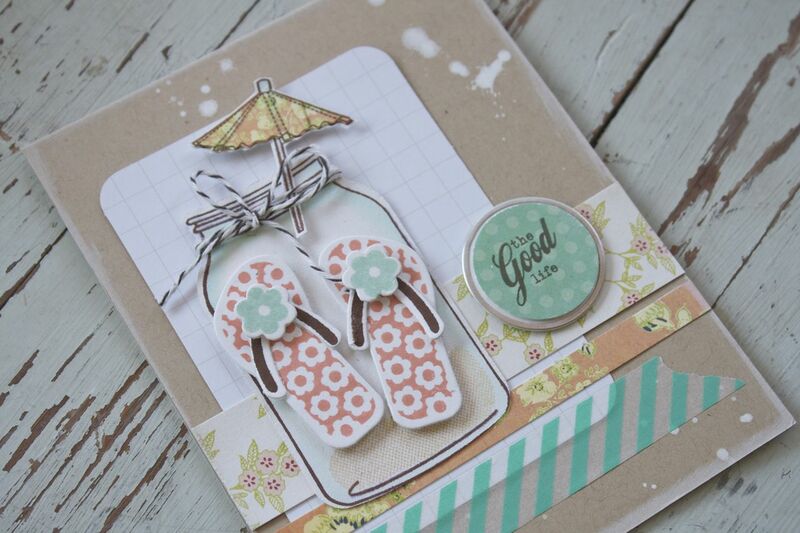 There are also lots of dies to cut out the flip flop pieces, the little flowers and more. 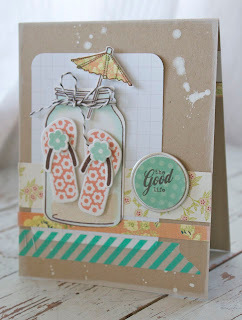 I paired my flip flops up with Friendship Jar & the Friendship Jar Summer Fillers sets. I used a Kraft base splattered with white mist, another Project Life journaling card, chocolate baker's twine, patterned paper, washi tape and another metal rimmed tag. Perfect for finishing up my Mother's Day cards, I used Maile's Happy Hydrangeas. 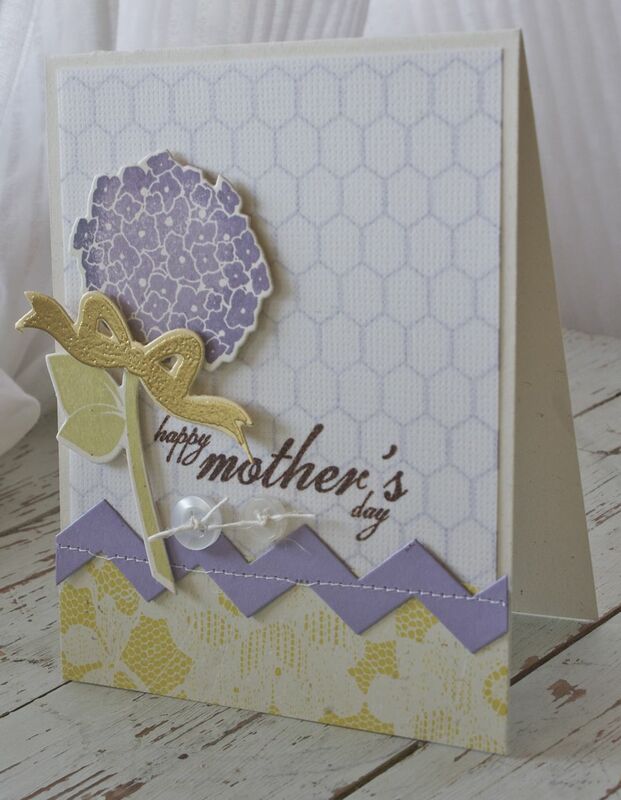 One of my favorite flowers and so pretty when die cut and topped with a gold embossed bow from the stamp set. 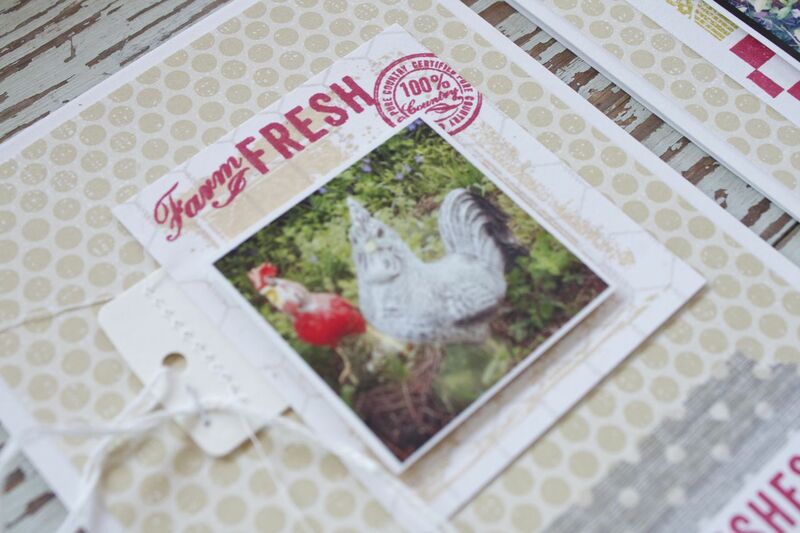 I used the new Background Basics: Farm & Barn chicken wire stamp on the back of linen vellum for a soft, muted look. You can see below that I did two versions of cards. One is simple with a die cut Chevron Stripes Border and Vintage Buttons and the bottom one is fancied up a bit with gold striped washi tape and some new Winter Wisteria Vintage Buttons. The moms loved their cards. And last but not least is On the Farm. You know being a farm girl that I'll get good use out of this set. 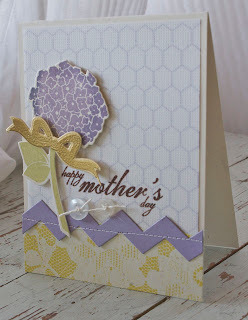 I decided to create a special set of cards for my mom. I made tiny Instagram prints of some chicken/rooster pieces she has nestled in her flower beds here and there. 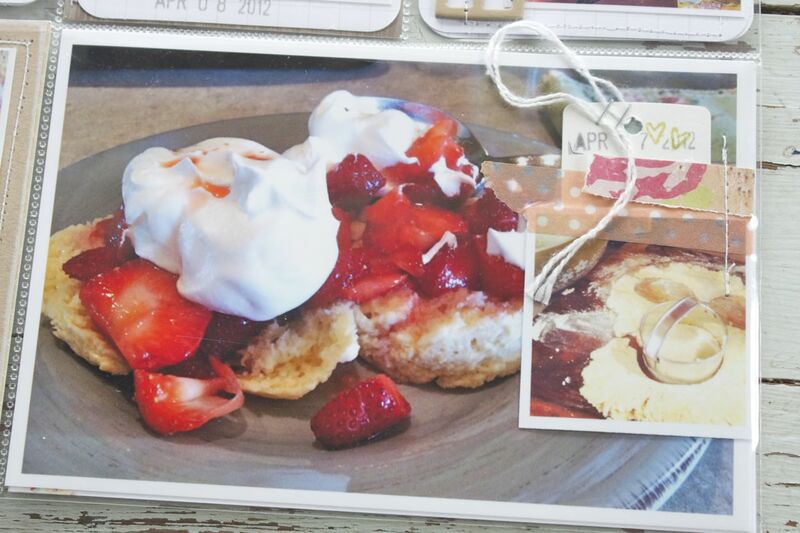 I created a little vignette with each photo keeping the sentiments red along with the circular stamp on each card. 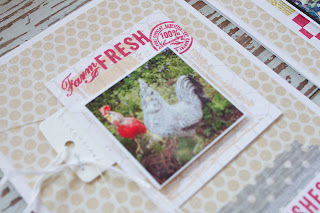 This one uses a Fresh Linen background from On the Farm along with a Rectangle Hang Tag. Here I used my favorite stamps from the bunch, the sun rays and rolling hills along with a masked checker board strip. 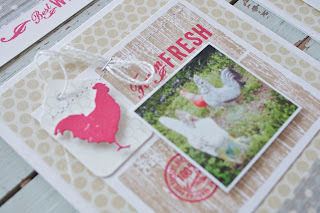 Here I used a Medium White Tag with a die cut rooster on top + a little machine stitching. 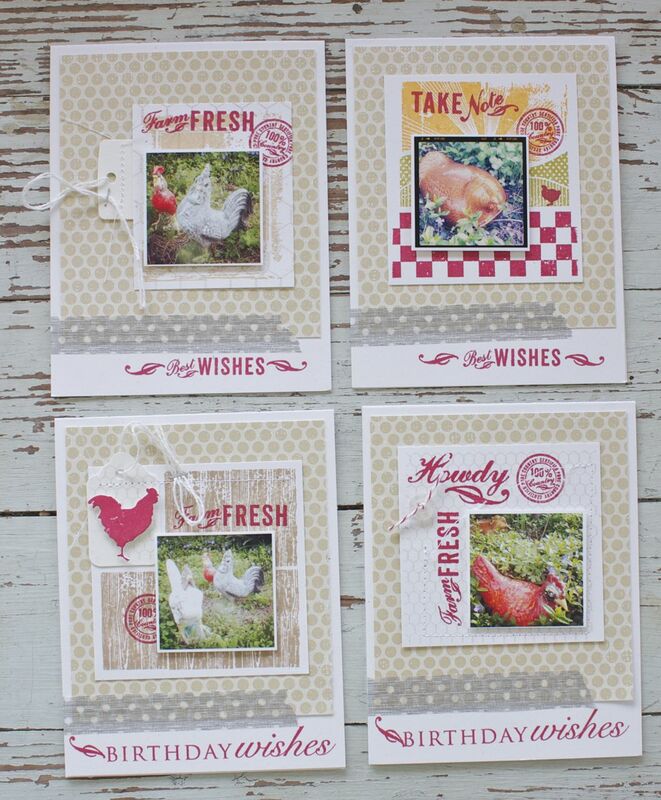 The wood pattern is the smaller of the woodgrain stamps from Background Basics: Farm & Barn. And lastly I used the tiny chicken wire stamp along with more sentiments in red + a tied Vintage Button. 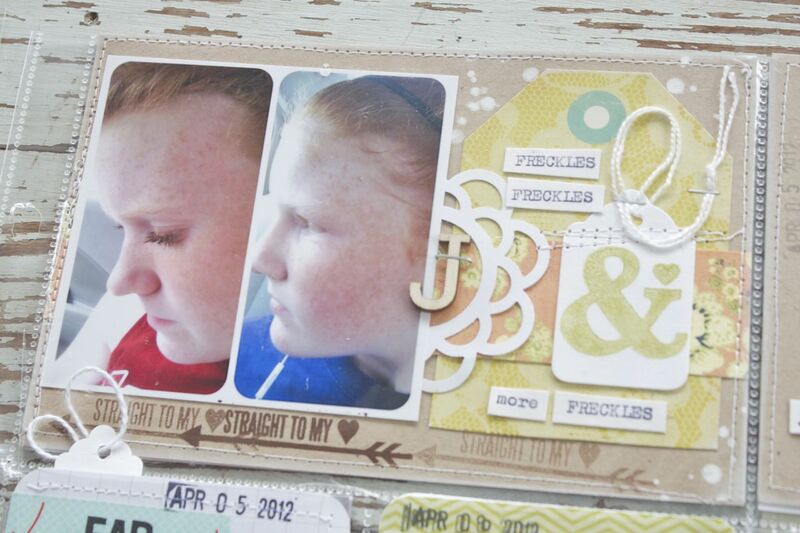 Base cardstock is Rustic White with Distressed Dots patterned paper. Each card has a sentiment along the bottom + a strip of torn washi tape. My mom just giggled when she recognized all of her little chicks and roosters. She was so tickled. 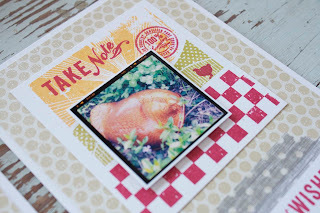 Edited for questions: The Kraft cardstock that I use is from Papertrey Ink. And for the question about my Project Life process, please see this link that is on left sidebar. I've highlighted some posts that should be super helpful. I'm back today with Week 14 of my Project Life pages. 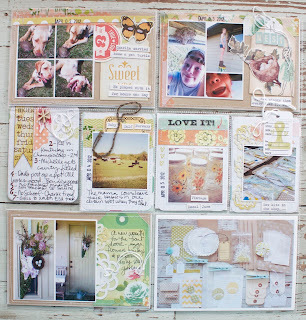 Becky Higgins has a post today too with lots of Project Life inspiration from the Design Team. Be sure to check out her blog here. Over the weekend we had a celebration for my upcoming birthday, Jordan's 8th grade graduation and Mother's Day. I set my album out on the dining room table and one by one the family started thumbing through the pages. Everyone who looked at my PL album was just amazed that I had photos from every week so far for 2012. They encouraged me to keep going and commented over and over how much of a treasure these albums will be. 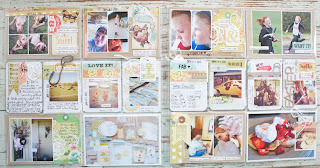 So if you're struggling to keep up just know that Project Life is worth the time. You can do it! Here's the full 2 page spread of Week 14. And now the 4 x 6 inserts. Charlie carried home a turtle one day while on a walk. 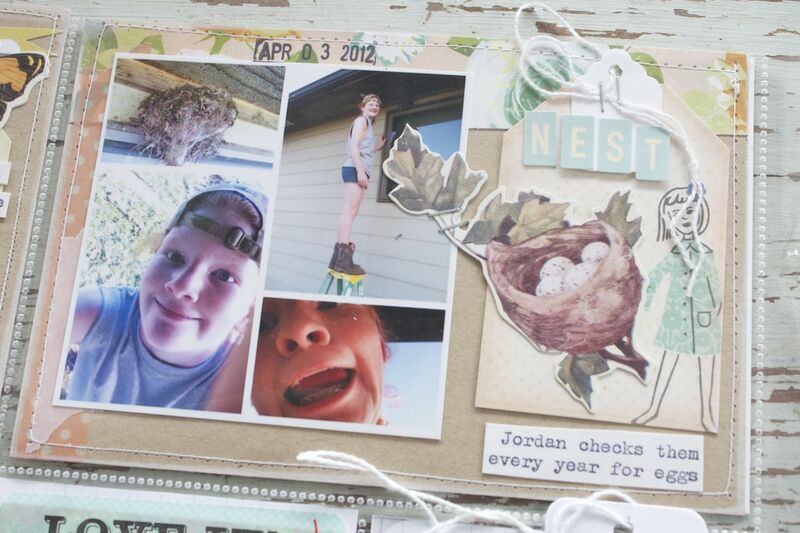 Jordan was checking bird nests for tiny eggs. A new Spring hanging for the front door. 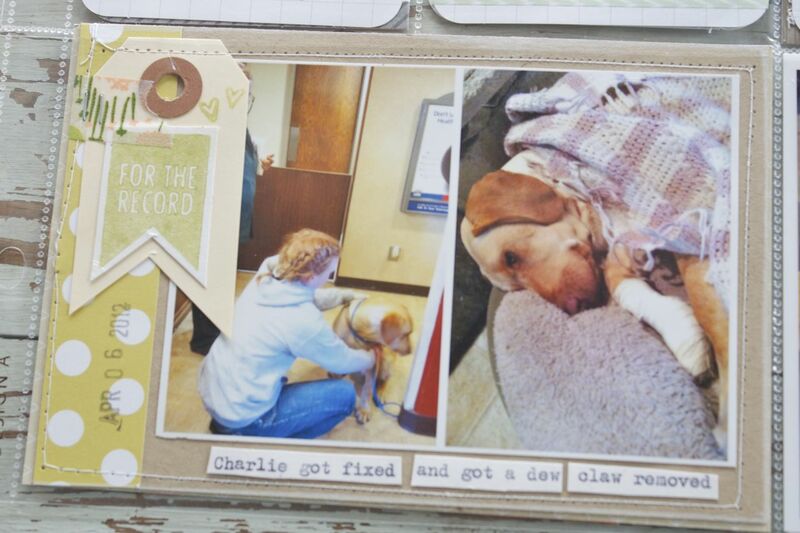 Charlie got fixed and some surgery on his foot. 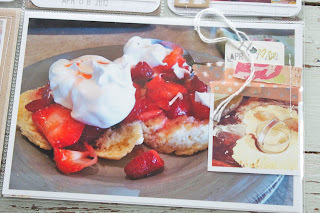 Strawberry Shortcake on Easter Sunday. 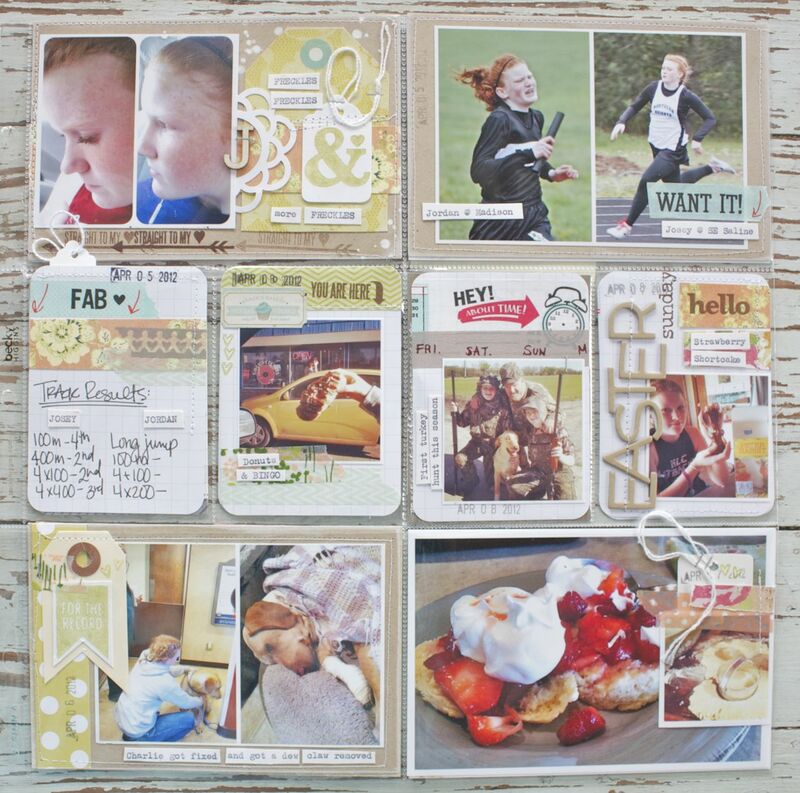 And now the 3 x 4 journaling inserts. I have to stay that this week was very detailed. I had been missing my scrapbooking so I took my time on each inserts, just getting scrappy and having fun. 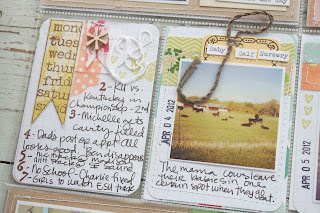 Here I have a Week in Review insert + a small photo of all the new baby calves. I ended up typing my journaling and cutting it into small words for a lot of my inserts this week. A few vintage finds and a new kit for the shop. That little stamp from Banana Fish Studios is a new fave. It's stamped on a tag from my shop. Track results for the girls and a trip to the donut shop. Washi tape, Sassafras paper and more small words. Hunting trip with Charlie and a chocolate bunny for Josey. 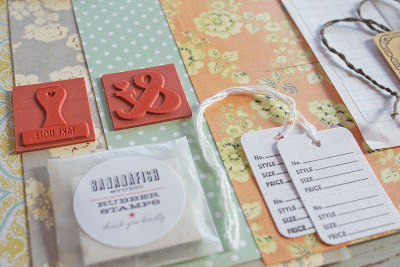 More Washi tape, chipboard letters and stamps. Thanks for stopping by. If you have any questions about product I used, just leave a comment and I'll reply back in this post. More fun Washi tape and a new Summer mini album kit for the shop, my Papertrey release projects for May, more Project Life weeks to blog, some vintage finds from recent junkin' trips & more. 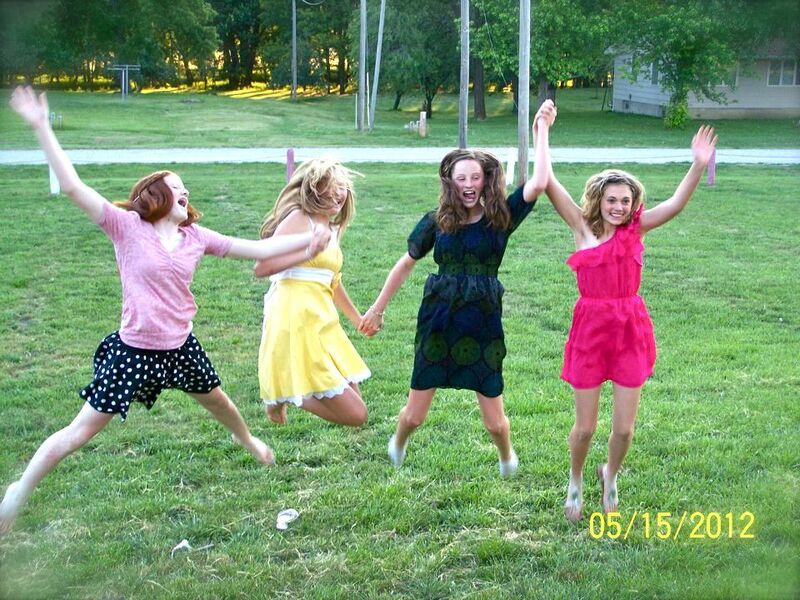 It's the last week of school for the girls. I can't believe it's here already. It's our busiest time of year but it will wind down and then Summer activities will start up in June. If I can get through this week of graduation activities, school events and track meets, I'll be a happy camper. 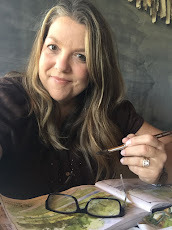 I'm hoping to finish some projects and do a little more regular blogging this summer. Wish me luck! I've been informed that no one has any clean underwear. So before I head off to orthodontist appointments it looks like I'll be doing a few loads of laundry. And then tonight I'll be giving my sarcastic tour of the laundry room so that the family gets reacquainted with the washer & dryer and how it works. Somewhat similar to the tour I give of the kitchen cupboard where all the cups are stored....when everyone drinks out of my glass. And the tour I give of the linen closet that stores all the toilet paper rolls...when I find no squares to spare on the toilet paper roll. Reminders are good. Have a great day everyone!